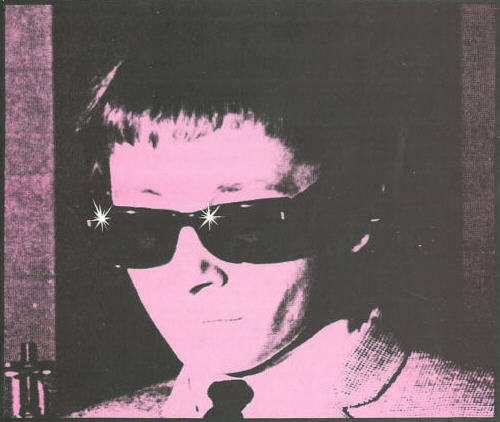 Jack Nitzsche is one of the most crucial "back-room" figures in rock annals, as producer, arranger, and writer of over 50 hit records, many of them true classics. He's also one of the most mysterious personalities, infrequently interviewd, rarely stepping into the spotlight, remaining (perhaps by choice) a shadowy figure, seldom photographed, occassionally visible hunched over a piano backing Neil Young from time to time. "Four guitars play 8th notes; four pianos hit it when he says roll; the drum is on 2 and 4 on tom-toms, no snare, two sticks-heavy sticks - at least five percussionists." Now go ahead and try it. Nitzsche was also a gifted songwriter (the classic "Needles and Pins" is his), and over the years has worked with artists as varied as the Rolling Stones, Jackie DeShannon, Neil Young, the Turtles, Ringo Starr and the Tubes. He scored several movies, including the memorable Performance soundtrack and One Flew Over The Cuckoo's Nest, not to mention orchestrating the legendary Tami Show. Through it all he's remained unknown to the public at large, and has acquired a reputation for moodiness and inaccessibility. On the occasion of this interview, Nitzsche, accompanied by managerial reps (and noteworthy record biz figures in their own rights) Denny Bruce and Dan Bourgoisa, proved charming, humorous, and frighteningly knowledgeable (further interviews would doubtless shed light on vast areas of rock history not covered here). For the interview, I brought along as many noteworthy Nitzsche records as I could dig up, and recorded his comments. Here, then, is the edited transcript, arranged and produced by Ken Barnes (egotism running rampant), with discographical assistance from Greg Shaw, Dan Bourgoise, and Jack Nitzsche.